The letter addresses two points that the bishops wish to communicate. The first point is that the Reformed Episcopal Church retains its conviction that the threefold-ordained ministry of bishop, presbyter, and deacon are reserved for males only. This position is solidly anchored in the canons of the church and the resolute commitment of every bishop in the Reformed Episcopal Church. The second part of the letter conveys the principled reasons that the Reformed Episcopal Church in North America became a founding member of the ACNA with influential voice and vote, and rehearses the practical benefits we have enjoyed as a result of continuing this relationship. Finally, the following items should be noted, regarding the dissemination of this pastoral letter. 1. From time to time, bishops have issued pastoral letters to the entire church. It is expected that this letter will be communicated to every member of every parish in the Reformed Episcopal Church, orally and in written form. 2. Due to its length, some rectors may not find it practical to read the pastoral letter in the context of a regular Sunday worship service. The bishops suggest that an appropriate alternate venue be selected, such as a Sunday School class or mid-week gathering. A printed copy should be made available on a bulletin board or public display table. 3. The word “catholic” appears frequently throughout the letter. The bishops remind the reader that this word is being used in the sense that it is found in the Nicene, Apostles’ and Athanasian Creeds, referring to the whole of the Christian Church, and not as a narrow reference to the Roman Church. We the Bishops of the Reformed Episcopal family of Churches around the world write to you regarding the recent statement on women’s ordination produced by the College of Bishops of the Anglican Church in North America (ACNA). That statement summarizes what was agreed upon at the conclave at Church of our Lord in Victoria, British Columbia, September 5-7. A number of our clergy and laity requested that we formulate our own response conveying our understanding of the statement. After prayerfully considering this counsel, we offer the following guidance. We begin by reassuring you that based on the authority of the Holy Scriptures as understood by the Great Tradition of the Church for two thousand years, we believe that only a baptized male may be ordained into the Holy Orders of Deacon, Presbyter, and Bishop. Our Churches have held this position without dispute for over one hundred forty-four years. For many years it was not necessary to state this principle in our Constitution and Canons. In recent years, however, both the Reformed Episcopal Church in North America and the Free Church of England have safeguarded this conviction by making certain that our Constitution and Canons explicitly state the historic, Scriptural position on Holy Orders. In addition, our North American jurisdiction has restored the ancient and Biblical lay Office of Deaconess and is committed to fostering the proper, Biblically important ways for women to have ministry in the Kingdom of God. To these ends, we remain pledged to the oaths we took and signed at our consecrations as bishops to uphold, defend, and teach the doctrine and discipline of the Catholic Church as the Reformed Episcopal Churches have received them. These oaths bind us to the inerrant, infallible, unchanging Word of God Written, the Catholic Creeds, the Thirty-Nine Articles of Religion, the historic Book of Common Prayer as adopted by the Reformed Episcopal Churches, and the other approved doctrinal statements (i.e. The Declaration of Principles, the Jerusalem Declaration, and in North America the Chicago-Lambeth Quadrilateral). Turning to the statement of the College of Bishops, we offer the following points for your consideration. First, the recent conclave was only the first gathering of ACNA Bishops to interact with the completed report by the Task Force on Holy Orders, chaired by our own Rt. Rev. Dr. David Hicks. We are all seeking the Lord’s leading as to future discussion. For now, however, the statement expresses the mind of the College of Bishops, including those who do not believe in ordaining women and those who do. Second, the unprecedented, positive lines in the statement should not be lost, even though we recognize there are conflicting points as well. It is highly significant that, for the first time in the history of ACNA, the College of Bishops used language such as, “the practice [of women’s ordination] is an innovation to Apostolic Tradition and Catholic Order,” and there is “insufficient warrant in Scripture to accept women’s ordination to the priesthood as the standard practice throughout the province.” These comments negate the notion that both practices have an equal “dual integrity.” As the report concludes, “Both positions cannot be right.” The College of Bishops upheld this viewpoint. In this regard, we see the statement from the Bishops as an acknowledgement that is stronger than ever before. Third, we recognize that there is a significant difference between the various situations of Reformed Episcopal bishops in Germany, Croatia, Cuba, and the Free Church of England (with its dependent works in Brazil, Venezuela, Russia, France, and Australia) and those bishops whose Dioceses are part of the Reformed Episcopal Church in North America. In relation to the former group, the ACNA has declared that it is in full communion with them and recognizes their Orders, sacraments, and congregations, while pledging to labor with them in the work of the Gospel. For those of us called to oversight in the Reformed Episcopal Church in the United States and Canada (REC/NA) the situation is rather different, due to our commitment to the ACNA. The remainder of this statement therefore primarily addresses the concerns and issues that the College of Bishops statement raises for us, our clergy, and our people. The statement upholds the current Constitution and Canons of ACNA, which allows each diocese to decide upon which practice will be observed in its cure. The reason for the apparent conflict in the statement is in one sense simple to understand. It would take near unanimous support among the ACNA Bishops to propose changing the Constitution and Canons, and even then, a lengthy constitutional process involving lay and clergy would be required. This level of consensus does not exist in the ACNA College of Bishops, nor is it perceived to be within ACNA as a whole at present. Thus, while there was sufficient consensus for the statements upholding Biblical and Traditional practice, there was not enough agreement among the Bishops that the ACNA should consider changing the Constitution and Canons on this issue. We in the REC/NA recognize the strong Biblical and historical statements as improvement, even though these commitments have not yet reached far enough into the hearts and minds of ACNA to reject the practice of women’s ordination. We still want to see the latter come about. We pray that in the course of time the Holy Spirit will use the acknowledgment of Holy Scripture and the Great Tradition of historic interpretation to transform ACNA into greater consistency with the Word of God. This is why we voted for the statement; our doing so certainly does not imply that we are in favor of ordaining women. The same C&Cs of ACNA allow for us to be a special jurisdiction retaining our own Reformed Episcopal C&Cs that explicitly call for males only in Holy Orders. The other constructive comments in the statement to which we call attention concern the need for the Church to teach more effectively on the way that apostolic ministry involves not only clergy but laity. In general, the Western Church has suffered from a kind of professional clericalism. In this view, clergy are all too often viewed as the ones to do the ministry, while the lay people are reduced to being spectators. The New Testament, on the contrary, teaches that the clergy are to equip the laity to participate in and do the work of ministry, apart from the sacramental responsibilities that only clergy may perform. As important as the priority of the worship of God is, the vast majority of interpersonal ministry is done outside of the context of the Divine Liturgy and by the laity, both male and female. The REC/NA has a strong emphasis on the significance of lay ministry. Therefore, we strongly support the concerns in the COB statement on the importance of teaching and equipping all the people of God in the many ways they can serve the Lord in His Church. It might be helpful at this stage to restate why the REC/NA decided to be part of ACNA, as well as why we should continue, encouraged by the stronger comments in the COB statement. Our involvement in ACNA has been a federated relationship based on the principle of catholicity as confessed in the Apostles’ Creed: “I believe in One, Holy, Catholic and Apostolic Church.” The word “catholic” means Universal Church, not only one part of it such as the Roman Catholic Church. Yet it is more than simply saying the Church is bigger than one’s own jurisdiction. The word “catholic” comes from a Greek prepositional phrase, “kata holos,” literally meaning, “According to the whole.” This implies common confession of the fullness of the Faith, which we have in the great Catholic Creeds (Apostles’, Nicene, and Athanasian). Beyond universality and confession, however, catholicity means a commitment to a real connection and communion with the larger Anglican Family and the historic Sees established by Canterbury, even though it is not possible to be in communion with Canterbury at the present. To be an “independent Anglican,” or isolated jurisdiction, is an oxymoron allowed only if there is no other option. This is why we say there should be a tangible commitment to connectivity with the Global Anglican Family, if possible. Through ACNA/GAFCON, this connectivity with the larger Anglican Family has been opened to us. Our participation in ACNA/GAFCON is consistent with historic efforts in the REC. The REC/NA throughout its history has reflected at important junctures that it would prefer not to be independent but to be part of the Anglican Family as long as it could retain its own jurisdictional convictions. This is perhaps most clearly demonstrated in the favorable conclusions of the Frank Wilson Commission of the late 1930s toward Reformed Episcopal Orders and our admission to the Anglican Communion, which was unable to be followed up because of the outbreak of WWII. The same desires manifested themselves in the REC/NA during the ecumenical dialogues in the 1990s with TEC. Finally, in 2008-2009, ACNA and GAFCON made a way possible to realize what the REC/NA had desired. Thus, we have been able to join this part of the Lord’s Church while maintaining our jurisdictional status and our commitment to all male Holy Orders. Based on the larger ecclesiastical principle expressed in the Apostles’ Creed, we have believed it is important for us to be part of the GAFCON structure within Anglicanism as doing so allows us to fulfill commitments to both catholicity and local jurisdiction. In ACNA, the vast majority of dioceses do not ordain women to the priesthood; many do not ordain women to the diaconate either. Yet there are dioceses that do ordain women to both offices. Our two mutually important commitments of catholicity and local jurisdiction bring us into connection with the dioceses that ordain women. On this point, these dioceses are not in full compliance with catholic order, whereas in all other points of catholic faith there is adherence. Regarding catholic order, there is agreement that women cannot be bishops, which is essential to sustaining apostolic succession. Without this commitment on Order, the REC/NA could never have joined ACNA. Despite our differences over women in the diaconate and the presbyterate, a way was worked out for us to participate in ACNA allowing our witness to have a connection to the global, catholic family of Anglicans, while being able to keep the standards of our local jurisdiction. There was a willingness both to respect our convictions not to ordain women to Holy Orders and to limit our connection with dioceses that do ordain women. We do not receive Holy Communion where a woman consecrates the elements. Also, when we meet as a whole in our province or in GAFCON, male bishops preside. In fact, with the exception of servers, the current practice is that only bishops are in the chancel. Even those who hold a different conviction agree that practices such as these are the only way to be able to have a provincial service where all may receive Holy Communion. We also want to bring to your attention that our relationship with GAFCON through ACNA has placed us in communion with many dioceses and provinces that do not ordain women. Furthermore, if we were not in ACNA our historic covenant with the Anglican Church in Nigeria (A.D. 2005) would not be able to continue. At the first GAFCON meeting in Jerusalem (A.D. 2008), Archbishop Peter Akinola, the Primate of the Anglican Nigerian Church (with over twenty-four million Christians), instructed us to direct our concordat with them through a new, North American province, which became ACNA. He specifically said that GAFCON was not going to be recognizing many small, fragmented Anglican jurisdictions, but only one new province. Therefore, on the traditionalist side of the connections through ACNA/GAFCON, we are actually in communion with more Christians who do not ordain women than we would be if we were not participating in ACNA. On the matter of catholic order, we are able to remain faithful to our standards. The principle of connection with the larger Anglican family, while being able to keep our own jurisdiction, has been blessed by the Lord in this regard. Based on Biblical and confessional principles, the practical benefits to us for being part of ACNA/GAFCON have gone beyond what we ever envisioned. We entered this relationship committed to the aforementioned principle of catholicity and not because of pragmatics. Nevertheless, by being at the table with our fellow Anglican Christians, the Anglican world now knows who the Reformed Episcopal Churches are and what we stand for. 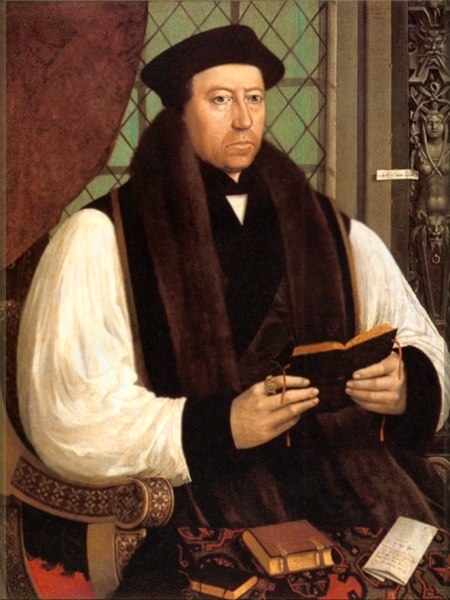 Not long ago we were virtually unknown even among Anglicans. More than being known, however, our views are increasingly respected and heard. Our witness has gone around the world to everywhere the Anglican Way is, leading to involvement in mission projects bigger than any we have ever had. Our seminaries have grown through the relationship with ACNA/GAFCON, with students from around the province and world. We have engaged in ecumenical efforts with all the major churches of Christendom representing millions of Biblically and creedal faithful Christians. Our Christian education materials, schools, philosophy of parochial education, and our Anglican School Association, have reached into a province of tens of thousands with greater potential than ever to spread our understanding of spiritual formation. Through the Anglican Relief and Development Fund, benevolence has been given and received beyond what we would have ever been able to do alone (i.e., rebuilding a RE church torn down by a tornado). The official publishing house of ACNA printed at their expense our new Reformed Episcopal Hymnal, and is in the process of printing a second run; this time around, the cost will be completely covered by them and the sales. 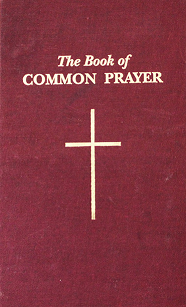 The same publishing house also published the recent apologia for the Free Church of England – Anglican Ecclesiology and the Gospel, by the Most Rev. John Fenwick, Primus of the Free Church of England. All of these benefits and many more have extended the ministry of the Reformed Episcopal Churches to people and places we could not have reached without our participation in ACNA/GAFCON, all the while maintaining our historic Biblical convictions and jurisdiction. We recognize that our historic principle of commitment to catholicity and even the practical benefits are not without significant differences and tensions as a result of being part of a large Anglican global family. We see that there is always the challenge of “staying in the game,” rather than living separate in isolation. There is also the reality of greater diversity that goes with being part of any large global family, such as the other branches of Christendom. Nevertheless, we, the bishops of the REC/NA believe that our federated relationship is the way God has opened for us to fulfill our responsibility as catholic Christians in the Anglican family, as long as our convictions and jurisdiction are not compromised. To withdraw back into being an independent jurisdiction when the Lord has made provision with all of its protections for us is not, we believe, His will at present. We understand that some perceive ACNA to be merely a continuation of TEC and essentially the same. We note, however, that the two are significantly different in terms of commitments and structure. 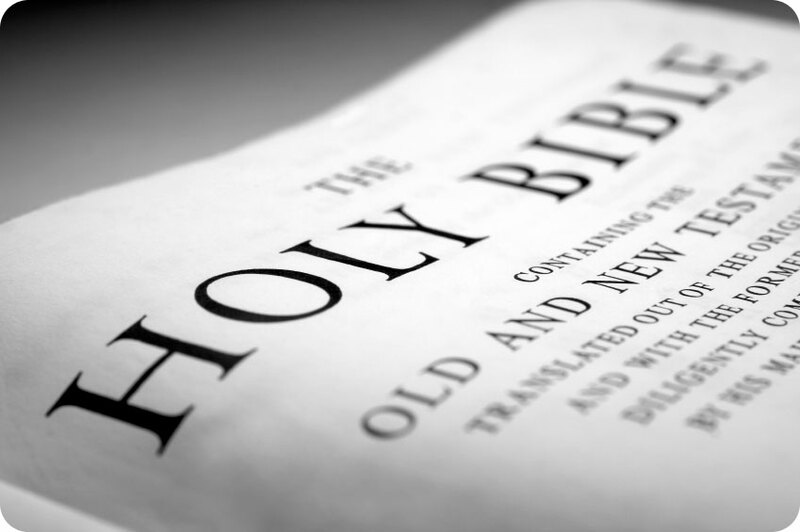 ACNA’s theological statement acknowledges Jesus Christ as the only way to God the Father (Preamble), and embraces the authority of Scripture as the unchangeable Word of God Written. It also confesses all three Catholic Creeds, the Christology of all the great ecumenical councils, the liturgical standard of the 1662 Book of Common Prayer, and the Thirty-Nine Articles as expressing the fundamental principles of Anglican belief and not just as an historical document. These theological commitments go significantly beyond what TEC or even the old Protestant Episcopal Church (which, for example, rejected the Athanasian Creed) ever made, which explains in part the positive lines in the COB statement. As for structure, ACNA allows other differences from TEC such as special jurisdictions like the REC/NA, congregations owning their property, connection with the Global South through GAFCON, provision to withdraw with property and without consequences, and now a demonstrable willingness to have a study on Holy Orders. The matter of women’s ordination never received a theological study in TEC. Certainly from our point of view the positive statements such as the ones that came out of the COB were never made in TEC. Yes, we have begun a challenging discussion with the Holy Orders study. If ACNA were to try to coerce us away from our special jurisdiction status, we would leave. This has been anything but the case. Rather there has been a willingness to hear us. Again, the comments in the Statement from the COB reflect this. Thus, the ACNA is unlike TEC in many ways, which is why we have been willing to participate as long as their theological commitments and structure remain as they are, and we can retain the REC/NA jurisdiction with our own Constitution and Canons. We hope that this communication helps you to understand better why our predecessors led the REC/NA into ACNA. They fully recognized the differences and the risks. For this reason, they called for a commitment to study the women’s ordination issue. Although the hope may have been that the practice would be reversed through a study, many of us who were there from the beginning realized that no single study and meeting of bishops would immediately change an erroneous practice deeply imbedded in culture for decades. Beyond the obvious desire to see the historic Biblical and Traditional practices restored, our predecessors wanted a serious study that allowed for the Biblical view to be presented and discussed among the Bishops. The hope has been that progress toward an acknowledgement of the Biblical view on women’s ordination would be demonstrated. 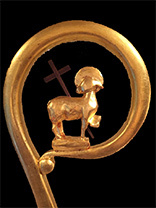 Although we would like to have seen much more, we are encouraged by the good work coming through the Task Force on Holy Orders, the strong, unprecedented statements of the COB that declare women’s ordination as an innovation to Apostolic Tradition and Catholic Order, and the acknowledgement of insufficient Scriptural warrant for ordaining women to the priesthood as the standard practice of the province. These developments indicate to us that the Lord would have us continue our work and witness in ACNA. Those of us who are members of the Council of Bishops of the REC/NA pledge vigilance in and ongoing evaluation of our relationship to ACNA. We continue to evaluate to what extent we can participate in various activities of ACNA. Those of us who are bishops of Reformed Episcopal jurisdictions outside Canada and the United States offer support and encouragement to our brethren and all their clergy and congregations as they maintain their faithful witness in a complex situation. In closing, we ask for your prayers for continued guidance for ourselves and all the People of God as we grapple with these difficult issues. As bishops, we are shepherds of the servants of God and guardians of the apostolic faith. Thank you all for your love of God and His Church, especially within the Reformed Episcopal family. May God richly bless you all.